Throughout his 30 year legal career Mr. Corsiglia has made his mark as a leading trial lawyer by combining his advanced courtroom skills with hard work and relentless dedication. Since 2009, Mr. Corsiglia has been recognized by the Best Lawyers in America for his work in representing medical malpractice victims. Since 2011, he been recognized by Super Lawyers and The National Trial Lawyers. 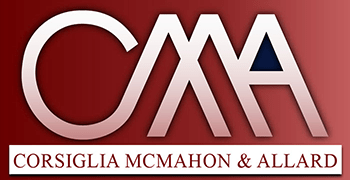 As a result of Mr. Corsiglia’s work, the law firm of Corsiglia McMahon Allard, L.L.P., has been recognized by U.S. News & World Report as one of the best medical malpractice law firms in the country. Reputation and integrity are crucial in the legal profession. Defense attorneys will look at your attorney’s reputation as a means of determining how they will handle your case. With a reputation for aggressively seeking justice and with the financial resources available to go to trial if necessary, Mr. Corsiglia has earned the insurance industry’s respect. This respect means that your claim will have a better chance of being looked at fairly and resolved quickly. 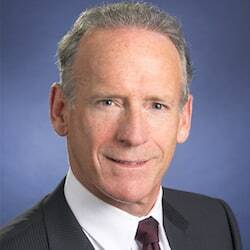 In the course of his professional career Mr. Corsiglia has prevailed over major healthcare providers such as Kaiser, Catholic Healthcare West, Apria Healthcare, Dominican Hospital, the Palo Alto Medical Foundation, and Stanford University Medical Center. His cases have ranged from medical misdiagnosis to severe brain injury due to medical errors. Medical malpractice can take on many forms. Mr. Corsiglia has assisted patients and their families in cases in which there was a delay in the diagnosis and treatment of cancer, which resulted in the cancer spreading and a less positive prognosis. These cases involved cancer of the breast, prostate, colon, lung and brain. Mr. Corsiglia has also handled cases involving a delay in the diagnosis of infection causing death or severe brain injury. In addition he has represented families in situations in which a failure to properly monitor a mother and her baby during her labor resulted in severe brain injury to the baby. Mr. Corsiglia also has considerable experience representing patients and families in cardiac cases. These cases include misdiagnosis of coronary heart disease resulting in myocardial infarction, and also cases of failing to properly monitor patients with conditions such as arrhythmia, resulting in sudden cardiac death. In addition Mr. Corsiglia has experience with cases involving failure to properly manage a patient on anticoagulation therapy, resulting in stroke. Mr. Corsiglia has been selected as a member of the American Board of Trial Advocates (ABOTA). This highly prestigious organization of plaintiffs and defense attorneys limits its membership to those which have met a rigorous set of criteria which include courtroom skills, ethics, and civility in the practice of law. ABOTA members are nominated by their peers and elected by existing members of the organization. In addition, since 1995 Mr. Corsiglia has held an AV-Preeminent (highest) rating from the Martindale-Hubbell Law Directory, one of the oldest and best-known directories of lawyers in the United States. The rating is a peer review system which evaluates lawyers based on ethics, legal knowledge, communication ability, and legal experience.